Over the course of time medicine has advanced into ever more narrowly defined areas. In the early Middle Ages medicine was still largely based on vague beliefs and assumptions retained from ancient times. Little by little the internal workings of the human body were studied, its organs, their make-up and function, blood circulation, blood constituents, cells, DNA and genes as well as bacteria and viruses, etc..
Now, with research into DNA and genes, medicine has advanced into an area where “information” plays a crucial role. For, as we all know, DNA carries genetic information. If we are now dealing with information, the question arises: what is information? If the substance merely acts as a carrier for the information, how is information communicated? But let’s look at the substance first. First of all DNA is a very large molecule. (A molecule is a particle consisting of at least two connected atoms). Now if medicine continues along the path of advancing into ever more narrowly defined areas, it will inevitably reach the smallest component of matter which is not chemically divisible: the atom. The atom – the end of the line for medical research? Now it could be said that this is probably the end of the line for medical research and medical possibilities. Yet this cannot be the case. For ultimately, despite molecular biology, we are still a long way from providing real solutions, especially for chronic disorders. Is therefore only logical and consistent to abandon the substantial, chemical level and introduce quantum physics into medicine. Quantum physics deals with the properties of subatomic particles (elementary particles). And this brings us to probably the most important discovery in quantum physics: there is a duality within matter; it exists as particles and as waves (Nobel Prize for Physics, Louis Victor Prince de Broglie). Photons are the “building blocks“ of electromagnetic waves. Photons are particles of light (light quanta) which move with the speed of light. Further research is leading us into an extremely interesting and exciting field which has a decisive influence on living organisms: the field of biophotons. In the last 20 years detailed investigations have been carried out in this field on an international level with the German biophysicist Professor Fritz Albert Popp. It has been detected that cells emit photons and renowned biophysicists assume that cells communicate with each other through these “flashes of light”. So information is exchanged, and at the speed of light. Discoveries made in biophoton research show that DNA acts as both transmitter and receiver. The biophysical level is superordinate to the biochemical. It regulates it and determines the structure of matter and, consequently, the structure of our organs too. The Nobel prize winner Carlo Rubia (1984 Nobel prize), general director of the CERN atomic research centre in Geneva, expressed this very clearly: “We usually only consider matter because we can see and touch it. Much more important however are the interacting quanta which hold matter together and determine its structure.” This is also demonstrated by quantum electrodynamics which, amongst other things, also covers processes of high energy physics such as the generation of particles through an electromagnetic field (1965 Nobel Prize for Physics, R. P. Freynmann, J. Schwinger, S. Tomonaga). The interactive quanta Professor Carlo Rubia refers to open up a completely new world for understanding the control mechanisms in a living organism. Shouldn’t this aspect be incorporated into medicine? 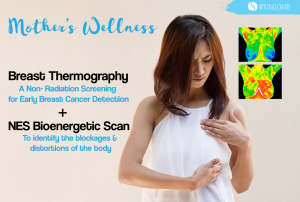 Bicom bioresonance operates at the biophysical level and uses information from the body’s electromagnetic field and from substances to test stresses and for the purposes of administering therapy.